Start planting the seeds sooner! When you're planning a large gathering, you want to make sure your guests mark their calender, and the North Dakota Invitation is a fruitful way to make it happen. 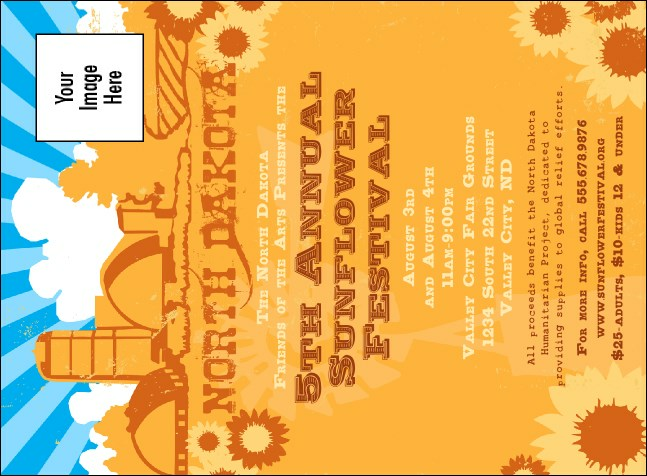 Bright, cheerful sunflower-themed design helps you spread the news earlier, so everyone can plan on attending. Get more than a flicker of recognition with the right publicity from TicketPrinting.com.